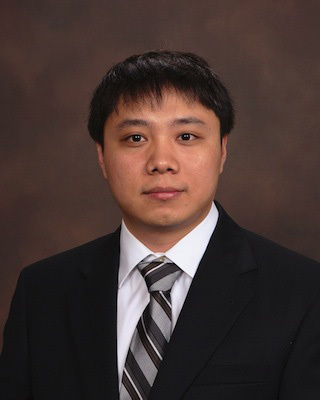 After graduating from the Harbin Institute of Technology computer science department, Dr. Wu entered medical informatics research with a motivation to help improve the quality of healthcare delivery and the safety of patients. Dr. Wu’s research has contributed substantially to these goals. His research interests encompass Natural Language Processing (NLP) and Machine Learning. He likes to design machine learning algorithms and NLP methods for diverse biomedical related topics, including information extraction from clinical notes/trials and biomedical literature, Word Sense Disambiguation (WSD) for ambiguous biomedical terms, predictive modeling for drug adverse reactions and drug new indications (known as drug repurposing), automatic knowledge discovery and signal detection from massive clinical data. Here at the University of Florida, Dr. Wu focuses on various aspects of biomedical informatics research, particularly in: 1) more accurate, generalizable clinical NLP methods; 2) advanced machine learning models and their application to massive biomedical data; 3) apply NLP and machine learning models to solve clinical and translational problems, such as drug repurposing, disease predictive modeling, drug outcome, and pharmacovigilance. BMI Team Welcomes New Faculty Member Yonghui Wu, Ph.D.
Yonghui Wu, Joshua C Denny, S Trent Rosenbloom, Randolph A Miller, Dario A Giuse, Lulu Wang, Carmelo Blanquicett, Ergin Soysal, Jun Xu, Hua Xu. A long journey to short abbreviations: developing an open-source framework for clinical abbreviation recognition and disambiguation (CARD). J Am Med Inform Assoc 2016 August. doi: 10.1093/jamia/ocw109. Jun Xu, Hee-Jin Lee, Jia Zeng, Yonghui Wu, Yaoyun Zhang, Liang-Chin Huang, Amber Johnson, Vijaykumar Holla, Ann M. Bailey, Trevor Cohen, Funda Meric-Bernstam, Elmer Bernstam, Hua Xu. Extracting genetic alteration information for personalized cancer therapy from ClinicalTrials.gov. J Am Med Inform Assoc 2016 Jul;23(4):750-7. Yonghui Wu, Joshua C. Denny, S. Trent Rosenbloom, Randolph A. Miller, Dario A. Giuse, Min Song, Hua Xu. A Preliminary Study of Clinical Abbreviation Disambiguation in Real Time. Appl Clin Inform 2015, 6(2), 364-374. Yonghui Wu, Mia A Levy, Christine M Micheel, Paul Yeh, Buzhou Tang, Michael J Cantrell, Stacy M Cooreman and Hua Xu. Identifying the status of genetic lesions in cancer clinical trial documents using machine learning. BMC Genomics 2012;13(Suppl 8):S21.